A reminder that you can follow me on Twitter and 'Like' my Facebook page. 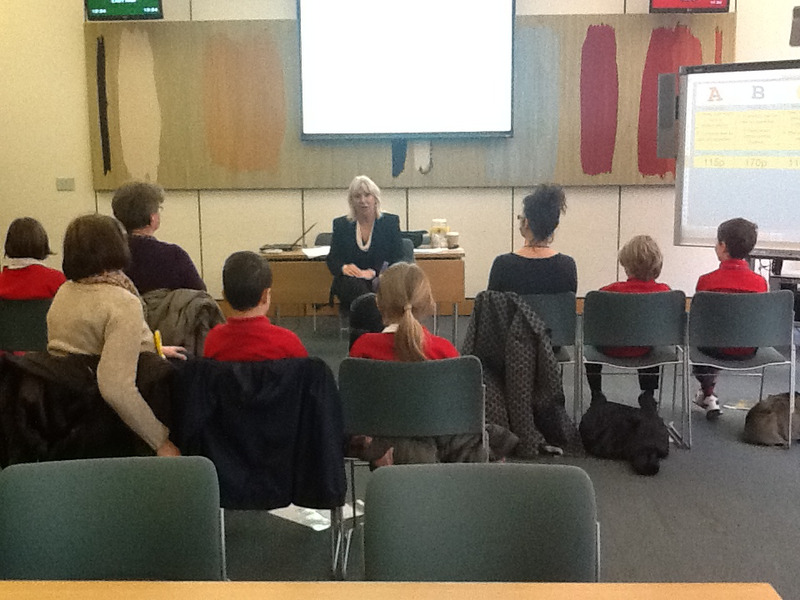 It was a great joy yesterday to welcome the children from Lower Stondon School to Parliament. The last time I visited the school was for their 150th anniversary celebrations. The school now has a new head teacher and the only problems it has are those which present as a result of success. A big thank you to Ella, who couldn't sleep the night before because she was so excited and drew a lovely picture of parliament which we have added to the collection on my office wall. Click here for my article in today's Mail on Sunday, 'Launch your secret weapon Dave. Get Boris into Number 10 now... and make him your Deputy Prime Minister'. I will be out and about in Shefford tomorrow to reassure residents affected by the threat of flooding. I will also hold an impromptu surgery in the tea rooms at lunch time if anyone wants to speak to me. Here is the text of a letter I have today sent to Jeremy Hunt, the Secretary of State for Health, following the revelations published in the Telegraph this morning. In my amendment to the then Health and Social Care Bill in September 2011 I made clear my belief that there is an obvious need for independent abortion counselling to be provided to women presenting with crisis pregnancies. The argument was made even stronger by the Telegraph sting published this morning detailing the biased and factually incorrect advice being given to vulnerable women in need of impartial advice. As a result of what we have seen, a professional body such as the British Association of Counsellors and Psychotherapy should be asked immediately to establish a set of guidelines for the best practice of independent, non-directional pre and post-abortion counselling. This would empower the CQC to inspect abortion counsellors against those guidelines and go a long way to offering protection from the sort of behaviour exposed by the Telegraph. As you may know, my personal view is that any organisation with a preconceived agenda on the issue of abortion should not be allowed anywhere near women presenting with crisis pregnancies. This means that organisations as diverse as SPUC, who are fiercely pro-life, and BPAS, who have no issues with gender selection or full term abortion, would both be forbidden from imposing their point of view on others. After the debate on my amendment back in 2011, the Department of Health established a commission that examined the best way of improving counselling services for pregnant women that agreed non-compulsory counselling was the best option. I would now like to ask that we can meet as soon as possible to discuss the establishment of a recognised non-directional best practice procedure for pre and post-abortion counselling. A busy day in Westminster yesterday, I spoke in two debates and met two different groups of constituents that had struggled in from Bedfordshire despite the tube strike. 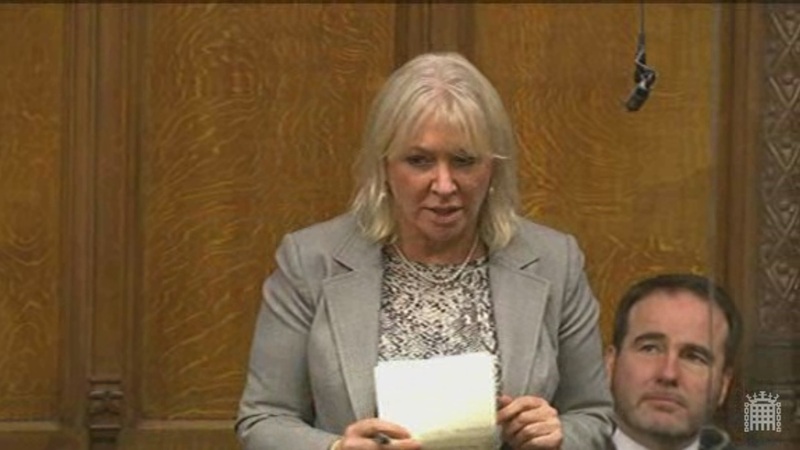 First thing in the morning in Westminster Hall I discussed the plight of people who move to Bedfordshire from London because there they can afford to buy a family home, only to find that unreliable and expensive transport links mean they find it difficult to hold down their jobs. Continuing this theme, I spoke in the debate about job insecurity to emphasise the role in our economy of small businesses and to reject the Labour idea that government can sustainably ‘create’ jobs. Never ones to miss a trick, the friendly people on twitter were quick to point out the job insecurity faced by MPs when we confront the voters at election time! Beds Police is a strong force that is facing some serious challenges given the reductions in public spending currently required. Sharing back-office functions with neighbouring police forces is a great way of cutting costs and reducing duplication of expenditure across the region. That is why I was delighted with the Home Secretary’s decision to allocate £8 million from the Police Innovation Fund to Bedfordshire, Cambridgeshire and Hertfordshire police forces over the next two years. Focusing scarce resources on the front line allows the impressive new Chief Constable of Beds Police, Colette Paul, to focus on what really matters, keeping the crime rate down across the county. This is clearly the trend at the moment and we all hope it stays that way.